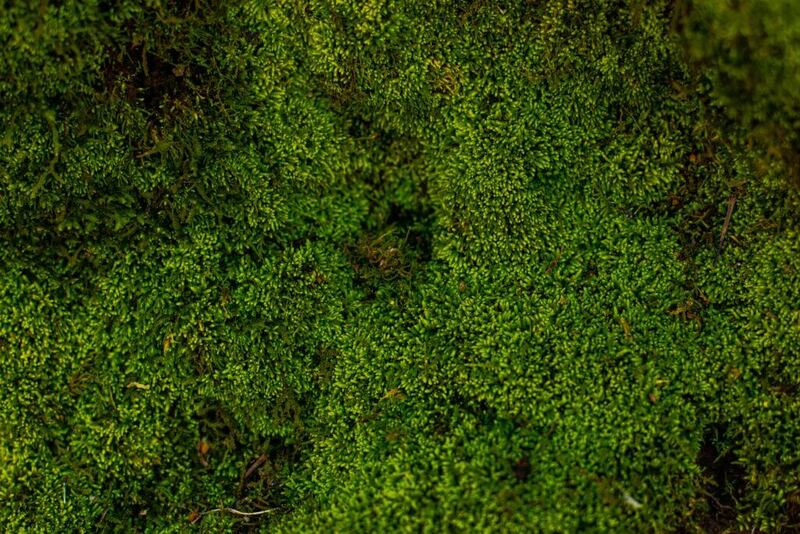 The kingdom of plants thrives where sunshine and water interlink. Some are strong, some are gentle. Behind every plant, whether big or minuscule lies a symbol, a hidden meaning that can be discovered by us humans. Succulents symbolize enduring and timeless love for they are tenacious plants that store water in their thick leaves and stems. They offer us a positive example by conserving water and flourishing in very difficult circumstances, reminding us that we are stronger than we realize and even the most arduous situations is not the end of the line. Succulents are incredible design choices because they naturally contain so many shapes you can work with and integrate into the look of your space. Here are a few succulents from our collection. Cacti symbolize endurance as it is a plant that can stand up to the test of time and the elements. The cactus flower is a symbol of maternal love because it can thrive in harsh conditions and therefore symbolic of a mother’s unconditional love. 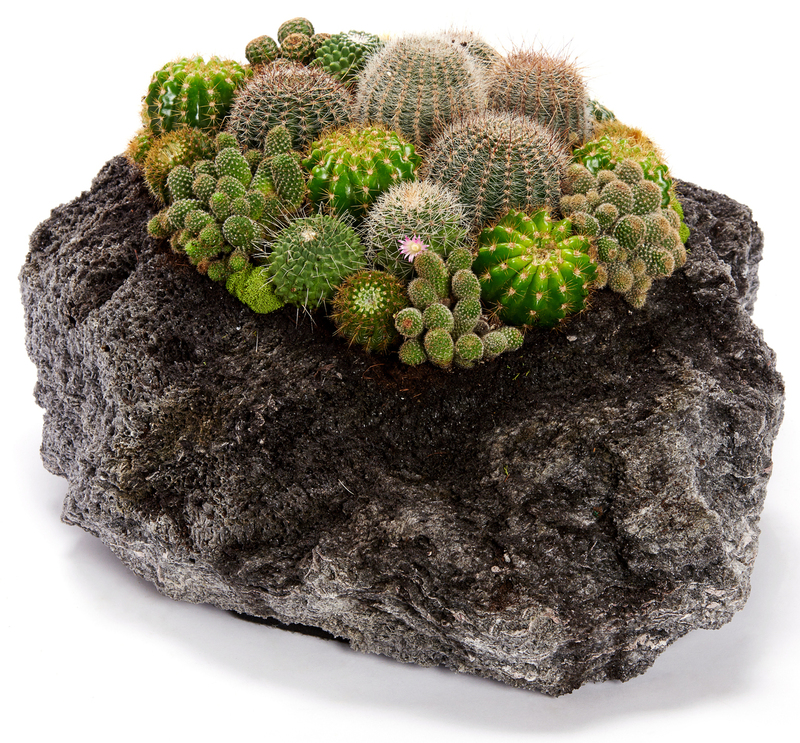 When someone is going through a hard time or even someone that is currently striving to reach their goals, it makes a great gift to give them a cacti garden as it is imbued with great meaning. This mini, ethereal garden is planted in a lightweight feather rock. It looks great on a short table or even on the floor. The garden is a combination of cacti and succulents in various shapes and sizes; the perfect set piece to brighten up your living room. Echeverias have a striking appearance that bring drama to gardens, centerpieces, or bouquets. They’re hardy and forgiving in their ability to thrive independently and yet are versatile with their arrangements of pink, green, white and red. This plant symbolizes gracious adaptability and striking beauty. 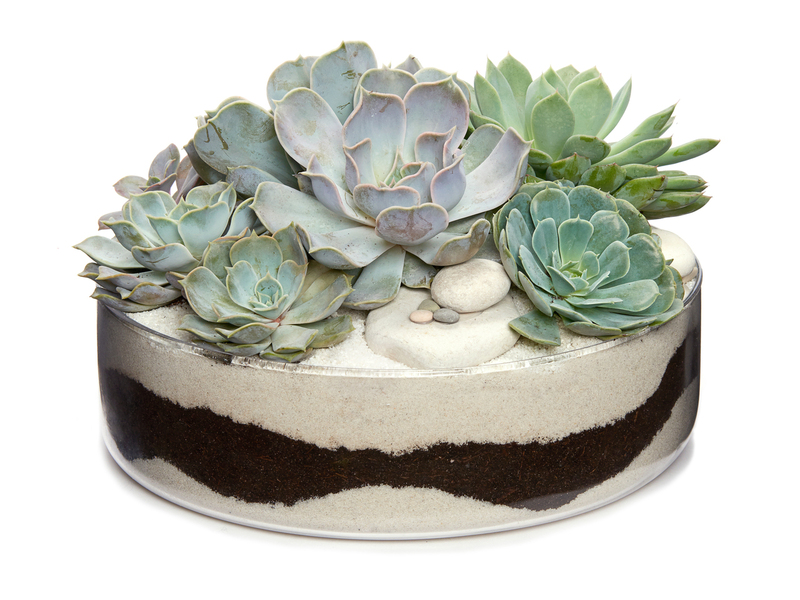 This garden is a magical ecosystem that features a mesmerizing Echeveria succulent arrangement and a clear dish that shows the layers of soil and sand as they would be seen in nature. 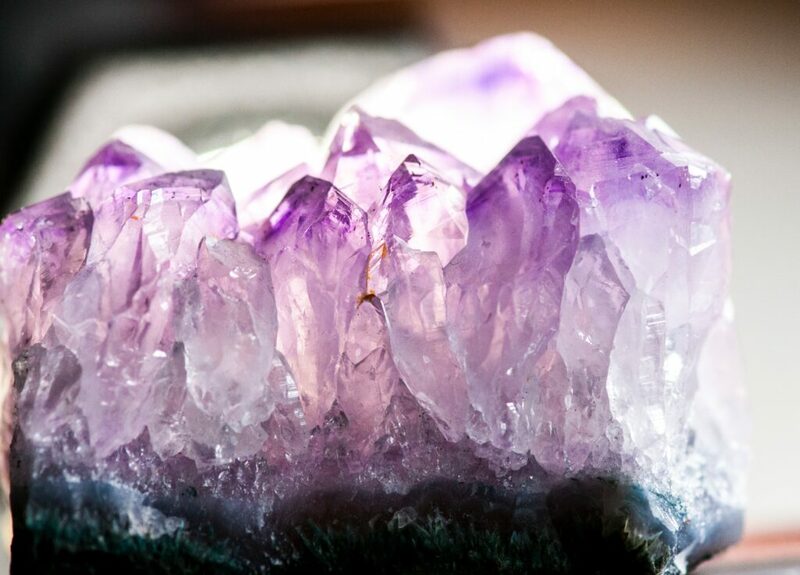 This reminds us to feel worthy to shine despite our many complicated layers. Let the magic within you bubble forth knowing that all of our hues make up a beautiful rainbow. Coral is a sign of deep and profound changes in the works. You have been working hard toward your professional and personal development for a while now. The meaning behind the coral is to let you know that now it is time for the pay off and play out of your phase. The underwater coral is a unique and peculiar type of a plant that resembles an underwater coral, but it is actually two succulent plants joined together to form a beautiful “Franken-plant.” A further reminder that things are coming together in your life just as they are meant to. 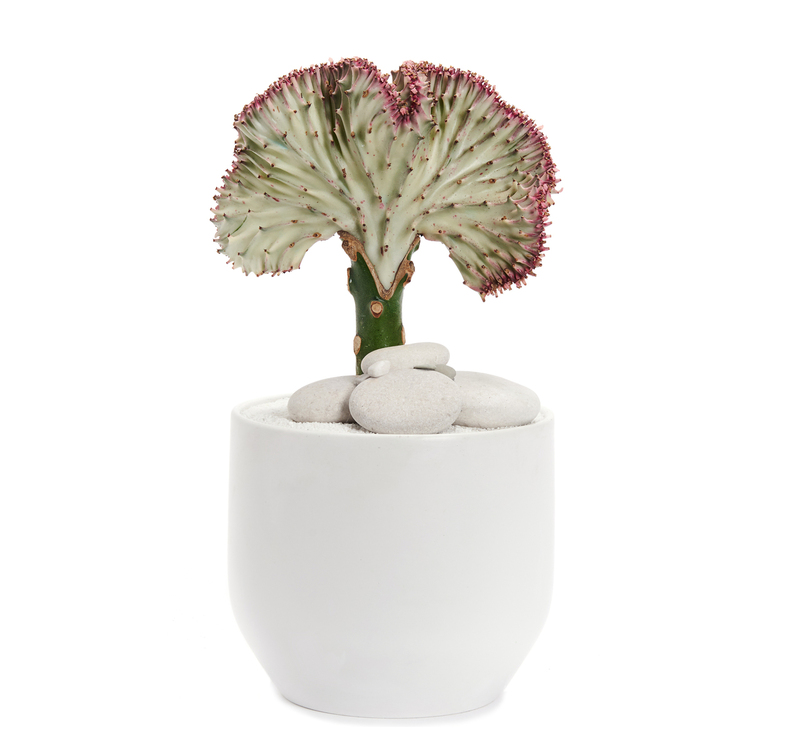 This Coral Cactus is incredibly resilient and can withstand beginners. The funny looking creature is the ideal piece to enliven any room but demands bright light – a small, achievable catch. Because of their unique ability to retain water, succulents tend to thrive in warm, dry climates and don’t mind a little neglect. This makes them well adapted to indoor growing and ideal for people desiring low-maintenance houseplants. Many people think that all succulents are cacti but this is not the case; however, all cacti are succulents. These strong, resilient plants work best in environments that get bright light, such as a windowsill or a glass door, or under a skylight. All you have to do is water these plants with a spray bottle, and wipe down with a paper towel if dusty. While growing, cacti and succulents should be watered at least once a week. During each watering, give the soil a refreshing soak, and all the water to run out of the ‘drainage holes’ of the pots. Watch them grow and lift the mood of the room as well as the guests’ spirits. The beauty of these aforementioned succulents can really be captured more from their meaning rather than their physical expression. If you have any more questions about how succulents can be used, or how they should be cared for, Plant the Future would be happy to offer our expertise. We have brought creative visions to life for interior and exterior design for locations ranging from private residences to luxury resort hotels. 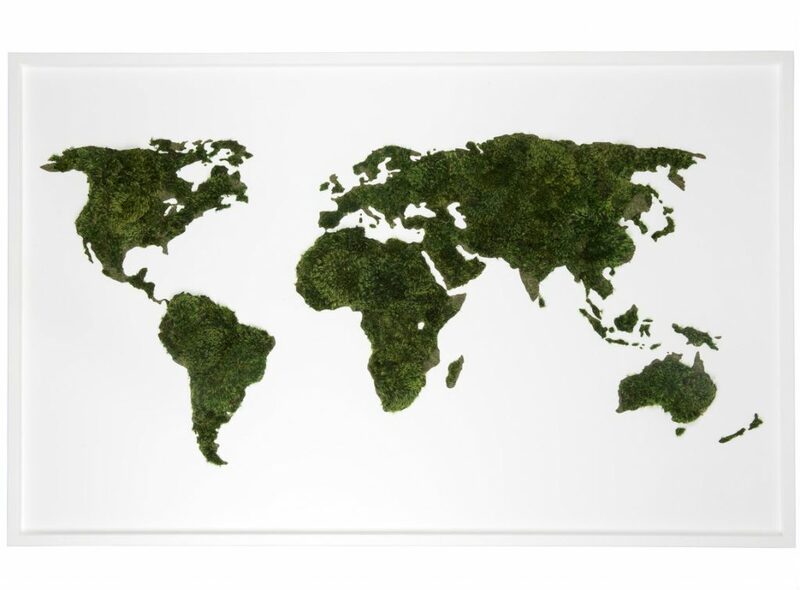 Whether you need to decorate a desktop, a garden, or a lawn, we would love to help you add natural life and energy to your space. Contact us online.